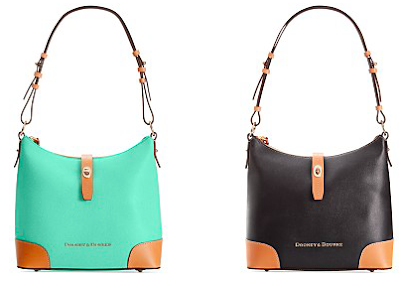 Look at how cute this is...Dooney and Bourke Claremont Leather Hobo Handbag is only $148.80 right now at Macys.com, when you use the code: VETDAY at checkout!! This is regularly $248, and the lowest price anywhere online for this specific bag. Shipping is free, too! Get it in either black or “sea foam” green.